At Celgene Patient Support®, we care about making sure you get the answers you need. That’s why our Specialists are ready to help answer questions about the insurance approval process. And you may need help paying for ABRAXANE. Celgene Patient Support® can help you and your loved ones understand the programs and services available to you. 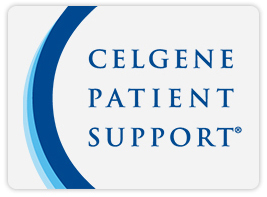 Enrolling in Celgene Patient Support® is simple – choose the option that is best for you. Programs that help with the cost of ABRAXANE differ by the type of insurance you have. Even if you don’t have insurance or enough coverage to pay for your medicine, financial help may be available. Patients must meet specified financial and eligibility requirements to qualify for assistance. At Celgene, we know how hard it can be to understand your health insurance. Celgene Patient Support® cannot provide insurance advice or make insurance decisions. To find out more, call your Celgene Patient Support® Specialist at 1-800-931-8691, Monday – Thursday, 8 AM – 7 PM ET, and Friday, 8 AM – 6 PM ET (translation services available). Where can I find support as a caregiver? One of the biggest challenges you may face as a caregiver to a person with advanced pancreatic cancer is asking for help. Balancing your loved one’s needs with your own can be challenging. But you don’t have to go through it alone. Here are some tips to help you get the support you need. Learn as much as you can about advanced pancreatic cancer and your loved one’s treatment plan. Be clear and direct so you can learn how best to help your loved one. 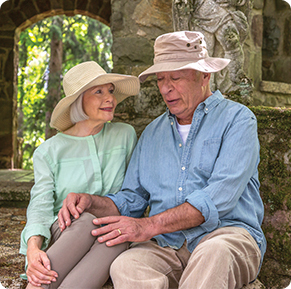 Besides attending doctor visits together, do things that have nothing to do with your loved one’s illness, like going to a movie or taking a walk outdoors, if your loved one is able to. Look for other family members or friends who are willing to share the caregiver role with you. When you take your loved one to doctor visits, be sure to take notes and ask questions. Knowing what to expect and understanding what is happening can help you feel less helpless. It’s natural to feel anger, grief, or guilt at times. Having these feelings doesn’t mean that you don’t love your family member or that you aren’t a good caregiver. They’re perfectly normal. Make a list of activities that other friends or family members can sign up for. They may be waiting to find out what they can do to help. Often people around you want to help but don’t know how. Asking for help with specific tasks will help them offer the help you really need. If your friends and family members offer to help out and share the workload, accept it. It is important to eat well, exercise, and get fresh air and rest so that you can be relaxed and positive. We all have our limits. Be realistic about how much you can take on and ask for help from others. Others may have different skills they can bring to help manage tasks you don’t feel prepared to take on. There is no substitute for talking to people who are going through the same experience as you. Remember, asking for help doesn’t mean that you’re not a good caregiver. It allows you to focus on the bigger responsibilities of a caregiver for a loved one with advanced cancer. For more information on caregiver support, visit the following organizations. 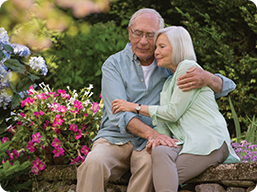 Many have numerous resources and avenues for connecting with other caregivers. The independent organizations listed are provided as an additional resource for obtaining information related to cancer and advanced pancreatic cancer. Inclusion on this list does not indicate endorsement by Celgene Corporation of an organization or its communications. Support can come from many sources—your family, friends, colleagues—even strangers who eventually become friends as you join a community of people facing similar challenges. Support can also come from organizations that provide resources to help you better understand what to expect living with advanced cancer. Knowing what to look for and where to turn are key to getting the support you need. How can I get the support I need? Family members, friends, neighbors, coworkers, and other people close to you are among your most important care partners. Your cancer diagnosis affects everyone who cares about you. Many of the people in your personal circle want to help but may not know how. How can I talk to my loved ones about my cancer? Letting your family and friends know about what you are going through can bring you comfort. But it can also be stressful. People do not always react the way you hope they will. These tips may help make it easier to talk with others about your cancer. Offers practical tips and a checklist of steps to take to help prepare yourself for treatment. Also includes questions to ask your doctor or nurse, with spaces to write down the answers you are given. Provides in-depth information about treatment with ABRAXANE, including how it works and what to expect, as well as resources to turn to for more information and support. Provides a Spanish-language version of in-depth information about treatment with ABRAXANE, including how it works and what to expect, as well as resources to turn to for more information. Helps you stay organized by keeping track of appointments and any symptoms you may experience so that you become more aware of how treatment with ABRAXANE may affect you. Helps you talk about treatment with ABRAXANE with your doctor before treatment begins. Lists frequently asked questions about ABRAXANE and provides space for you to write your own questions for your healthcare team. Your need for services, support, and information about advanced pancreatic cancer may change over time. Knowing where to find the resources you need to help manage these challenges can help you feel more in control. Use the resources listed below to get answers, advice, and help from advocacy groups and peers who understand the needs and concerns of people with advanced pancreatic cancer. These organizations do not replace talking with your doctor. Ask your healthcare team about other resources they can recommend. Cancer is individual and very personal. One person’s experience may be very different from another’s experience. There are many things that make living with any illness personal, including a person’s culture or ethnicity. The organizations listed below offer information and resources specific to certain ethnic groups and cultures. blackdoctor.org 312-222-1205 Health news and features specifically targeted to African Americans. Includes information written in everyday language, a searchable directory of qualified African American doctors, and community blogs on thought-provoking information from health writers and doctors. latinascontracancer.org 1-888-522-8110 Education, navigation, and support for the underserved Latino population affected by cancer. Bilingual services include educational workshops, support groups, case management, and patient navigation. hispanichealth.org/resources 202-387-5000 Programs that focus on improving the health and well-being of Hispanics and securing health for all. Available resources include the Let’s Talk About Living With Cancer (Hablemos sobre la vida con cancer) bilingual booklet that provides those living with cancer as well as their friends and family with general information and resources on cancer. aahiinfo.org 240-777-4517 Programs and activities that help narrow the communication gap created by language and cultural barriers, and navigation of an unfamiliar healthcare system for Asian Americans. Resources include a library of downloadable brochures, videos, blogs, and a calendar of events. apiahf.org 415-954-9988 Educational tools and materials to help people understand healthcare reform and its impact on Asian Americans, Native Hawaiians, and Pacific Islanders. aancart.org 916-734-5371 Health educational materials to learn about healthy living, cancer screening, cancer treatments, and more. Health educators and clinicians can also download these materials and share them with their students and patients. minorityhealth.hhs.gov 240-453-2882 A one-stop source for minority health literature, research, and referrals for consumers, community organizations, and health professionals. Information on health issues specific to African Americans, Native Americans and Alaska Natives, Asian Americans, Hispanics, Native Hawaiians, and Pacific Islanders is available through the Resource Center, from access to online documents to database searches to customized responses to requests for information and assistance.